In this post a look at the best hotels in Playa de Muro so you don’t have to spend hours online searching for them. For this post I read reviews on the over 30 hotels in Playa de Muro on 4 review websites and picked 8 of the best hotels. Checking these 8 hotels in real life left me with 2 not delivering to what was promised online, so don’t always believe everything you read, and 6 proving that they truly offer great holidays to their guest. 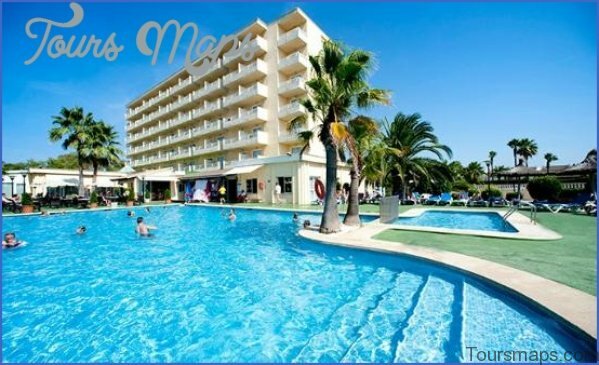 Let’s have a look at those 6 hotels in Playa de Muro you can book today and be sure you have made the right choice. All of these hotels are in very different price categories but all offer great value for money. 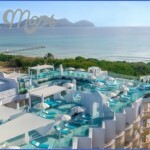 The first hotel in this list is Viva Blue. 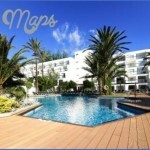 It is a very clean hotel very close to most of the restaurants and shops in Playa de Muro. This hotel offers a large entertainment program both in the day and night time and is constantly updating and improving the hotel. In recent years they have added a dedicated pool for athletes, an 18+ relax pool only for adults and a pirate themed kids pool. The hotel Viva Blue is within 1 minute walking from the beach. 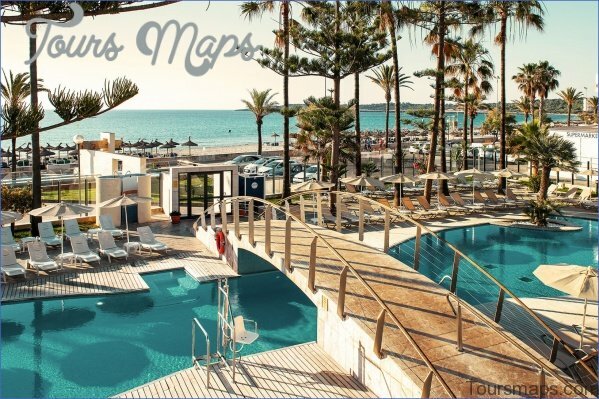 Iberostar Playa de Muro Village is just across the road of Viva Blue. 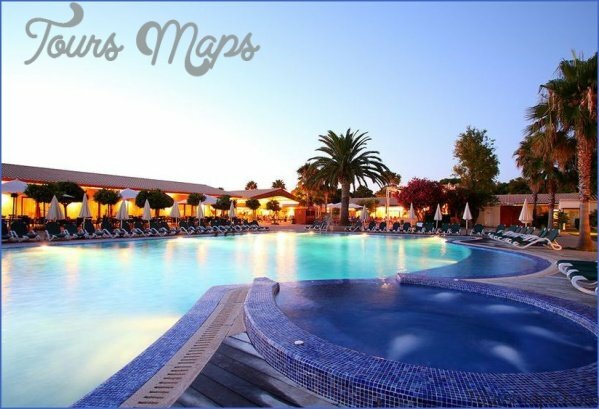 This hotel is located directly next to the beach and is focussed on a relaxing and classy atmosphere. The hotel feels very fresh and clean. When booking make sure you don’t book the wrong hotel. The hotel next door is the hotel Iberostar Playa de Muro, not Playa de Muro Village, and is a very different hotel. Las Gaviotas Suites is an amazing hotel that recently has been completely modernized. It features 3 different pools and a very quiet and modern atmosphere. 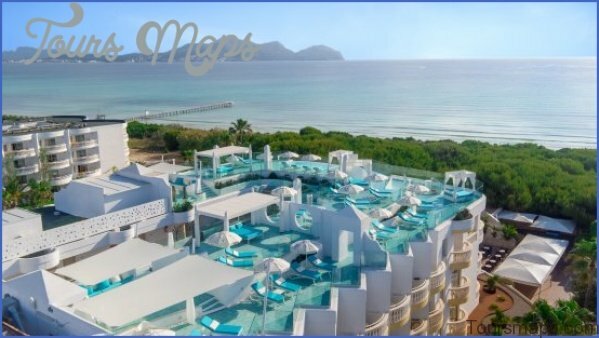 The food and buffet in this hotel scored very high but, since it is located very central in Playa de Muro, if you want, there are many restaurants nearby and the beach within 1 minute walking from the hotel. 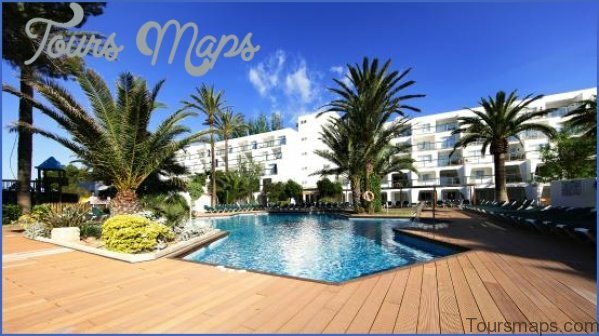 Viva Bahia is another great hotel very similar to Viva Blue, yet Viva Bahia is located directly on the beach and more towards towards the end of Playa de Muro. 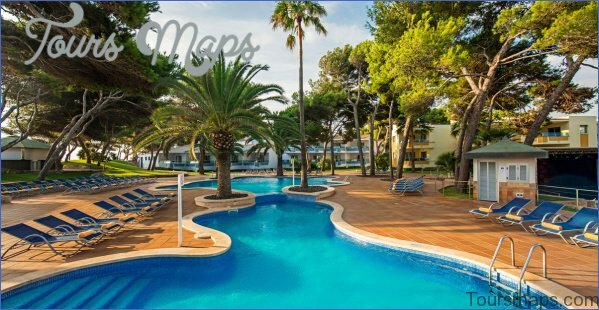 It also offers great entertainment and a large selection of pools for adults and children. The area here is much more quiet and “natury?” compared to Viva Blue. Just keep in mind, that because of this many of the restaurants and shops are further away. My advice. If it is important for you to have these closeby, then book Viva Blue. If you stay in the hotel and on the beach most of the time, then book Viva Bahia. Before I move on to the last 2 great hotel in Playa de Muro, please feel free to click that like button at any time! The Grupotel Parc Natural & Spa is the only 5 star hotel in this selection. This means that the price is somewhat higher but this is very much reflected in what you get for it. The Hotel Grupotel Parc Natural is a beautiful stylish and classy relaxing hotel right next to one of the best places on the beach in Playa de Muro. The pool is very unique and natural feeling and the rock structures here break the pool up into many little pools, like this it feel much more secluded and private. I liked that they had loads of towels available for guests around the pool to freely take and change as well as a little chill out corner next to the pool with free newspapers and magazines. The Prinsotel La Dorada in Playa de Muro is another great family holiday hotel. There is a big large pool, all throughout the hotel as well as many sports fields, amini golf course and a playground for the kids. I also loved the little food truck they had as well as a dedicated room for teenagers with a lounge area and game consoles. The prices for this hotel have a lot of difference as there are many types of rooms available. From standard apartments to deluxe penthouses with Jacuzzi. Pay attention what you are booking if you wish to stay in the Prinsotel La Dorada to make sure you pay the right price. For booking tips and the cheapest price for any of these hotels you can visit my website this blog . Also don’t forget to click that comment button to find all my posts on Mallorca even more easy. 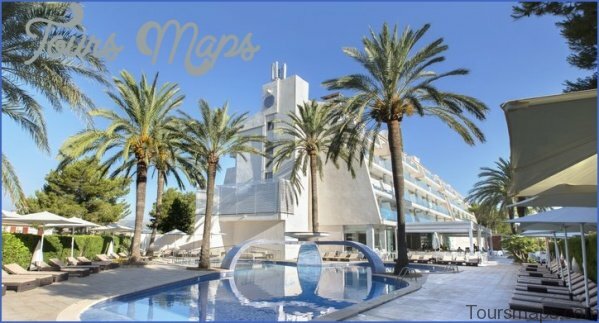 If you are the owner, director or marketing department in any of these hotels mentioned in this post, or a hotel you think I might have overlooked, then you can get in contact with me on mallorca.